411’s Tony Farinella sits down with the director of the moving and powerful documentary, Bully, for an exclusive interview about the film! 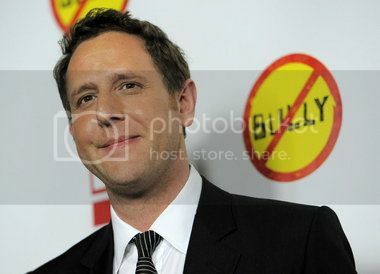 Lee Hirsch is the director of the 2012 documentary, Bully, which made my list of the top ten films of 2012. It shows how bullying has destroyed lives, families, and impacted the entire world. Lee is hopeful, however, that things are turning around in a positive direction and there are solutions being put in place. Recently, I caught up with Lee Hirsch to talk about his film, what it was like shooting it, and what’s being done to rectify this issue. Bully will be released on DVD and Blu-Ray on Feburary 12th. It is worth watching with your children. TONY: I would imagine this is one of the greatest things you can do as a filmmaker: to make a film about something and a film that really gets people talking. What does it mean to you as a filmmaker to make something like this, a movie that is really about something and really making people talk? Lee Hirsch: It’s like a double hit for me because it’s also something that’s really personal. I made this film in large part because I was bullied myself. It’s certainly hits a sweet spot when you can get that kind of impact and people talking. When it’s something you have a personal connection to, it’s all the more powerful. When I started this film, it blew me away that there hadn’t been a movie about bullying, which is such a collective experience. I knew that it would have impact, but I didn’t foresee the extent in which that people would rally around this film and the stories that it tells and the amazing kids that are in the film. It’s been awesome. TONY: Just being a viewer of this film, as I was watching it, there were so many scenes that got me emotional and really hit me hard. As a filmmaker, when you were done filming certain scenes or talking to certain parents, was it a hard film to shake in terms of going home and taking it home with you? Lee Hirsch: Yeah, it was. It’s still hard to shake. Because a lot of people meet this film in a pretty dark place in that a lot of the people that have come out to see it are families whose kids are currently being bullied or kids that have gone through it or adults who have gone through it. I spend a lot of time talking to people and hearing their stories. That’s always a lot, that’s been a lot on my shoulders. As much as there’s a lot of people really struggling, there’s, I’d say, tenfold people who are writing us and saying, ‘Hey, I watched this with my kids and we had a conversation we’d never been able to have before. Now I know what’s going on.’ or ‘My kid talked to me about another student that’s getting bullied and we put together strategies for how he or she could help.’ That part of it has been really amazing. TONY: How did you earn the trust of the families and was that difficult? Lee Hirsch: One thing is I don’t just show up and start filming. We would meet with the families and really talk about the movie and my story and why I was doing the film and why I thought it would be important to tell their story. I really asked them to choose to participate right off the bat, so that process was really helpful. You work with people. As a documentary filmmaker, your job is to listen and to understand and accurately reflect their story with integrity. I guess that would be how it happened. This was not a hired gun coming in with a story to file in two hours. This is a very, very different process, and I think that’s where the trust and the respect and relationships came in that I think yielded the kind of access and the intimacy and honesty that you see in the film. TONY: You’ve talked in previous interviews about how filming this movie was very cathartic for you and you’ve been bullied in the past. Can you explain, in a sense, what the film did for you in terms of dealing with those past emotions? Lee Hirsch: You know, you ask me on a different day of the week, I’ll give you a different answer on that question. I would say that it certainly allows me to process and it’s brought me some closure. It’s also brought me back in touch with some of the people that have both bullied and defended me when I was going through that. I think it’s an evolving thing and it sort of speaks to what I said before about you take a lot of other people’s pain on as part of this and that’s a lot of responsibility. It takes a lot of emotional energy. I would say it’s certainly been cathartic and it feels like I’ve been able to help a lot of people through this film and give voice to a lot of people and that’s what I had hoped for. I guess catharsis is not the magic thing that it might sometimes sound like it is. TONY: You’ve talked on different television shows about how you feel very hopeful now and you’re hopeful that things are changing and things are going to get better. If you can, talk to me about a little bit about that hope and what you see being done in a positive direction. Lee Hirsch: I absolutely am hopeful. We worked really hard to build a really strong outreach campaign and movement around the film. On the educator’s side, we were able to facilitate and raise the funds for over a quarter of a million kids to go see the film together with their educators. Their educators did professional development. They worked with an incredible study guide prepared by a great organization called Facing History and Ourselves. They did webinars, they went on buses. They’ve created hundreds of projects around the country as a result of that. That’s been amazing. We have built a community of over hundreds of thousands through Facebook, Twitter, and on our website that are all pretty radically engaged. We’ve seen three screenings on congress, we’ve screened this at the White House, and I’ve been able to work with really important leaders around the country that are on both sides of the isle that have stood for this film and really gone out to help us carry the message. Celebrities have gotten involved. Media has gotten involved. I think all of those things have really combined to help change the national conversation and what that looks like is when people are no longer comfortable saying, ‘Boys will be boys and kids will be kids,’ when they talk about bullying. When schools are, and this is what we see every day, are rolling up their sleeves and saying, ‘How can we make the school day a better experience for all of our kids not just some of our kids?’ and they’re looking at solutions that include social and emotional learning and helping to teach empathy. There’s more awareness around what’s happening for kids with special needs. It’s been amazing. So I do feel a tremendous amount of hope. I think we’re at a tipping point on the issue and I think that change is incremental and it’s happening in small towns and big cities and it’s not a panacea. We’re not there yet, but I think things are looking up. TONY: For you, Lee, what did you learn about bullying that you didn’t know before shooting this film? Lee Hirsch: I’ve learned a lot about the road to solutions and I think that the landscape of physical bullying and the emotional bullying I understand really well. There wasn’t a lot that surprised me while I was producing it. What surprised me in the process of making it was the indifference of adults. That was powerfully felt. What I’ve learned is how to affect change in terms of helping schools start to enact the kinds of changes that lead to a healthier school environment. Bullying is a symptom of a school culture that’s not functioning in a healthy or productive way. We have a lot of educators in our country and globally that are driven by testing and athletic accomplishments, so the movement to eradicate bullying is more accurately a movement to improve school climate and bring social and emotional learning into the schools. Things like having class meetings where kids are able to talk about their feelings in a respectful way. Things like helping schools come up with strategies, which can be as simple as saying, ‘Don’t just let your most popular kids pick their teams at gym class. Do it in a way that’s inclusive.’ You start with steps. A lot of those resources are available on our website. In terms of the DVD, you really encourage educators to get engaged and to bring Bully into their schools and screen it and use it with the facility and engage with it. For families, we have great resources for how to talk to your kids about bullying and this movie will be very helpful to families across the country, so that work continues. TONY: Thank you so much for your time, Lee. It was really good talking to you. I love your film and I love what you’re doing with it and think it’s a great thing, so keep the message going and thanks for your time. Lee Hirsch: Alright. Thanks for talking to me and have a good one.